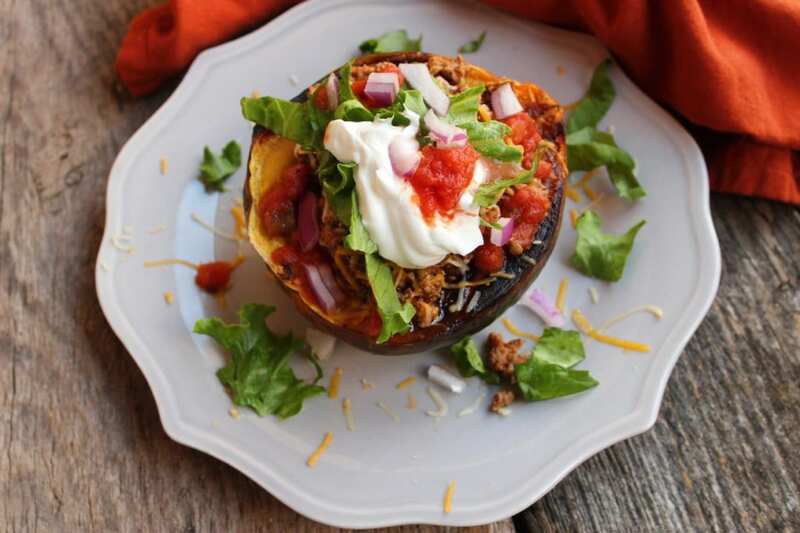 Let’s just cut right to the heart of the matter and agree that this Taco Stuffed Acorn Squash is not only a genius healthy meal idea (thank ya, thank ya very much!) but it is so, SO incredibly delicious and easy to make. 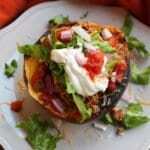 This Taco Stuffed Acorn Squash recipe was born one night out of a fit of desperation. 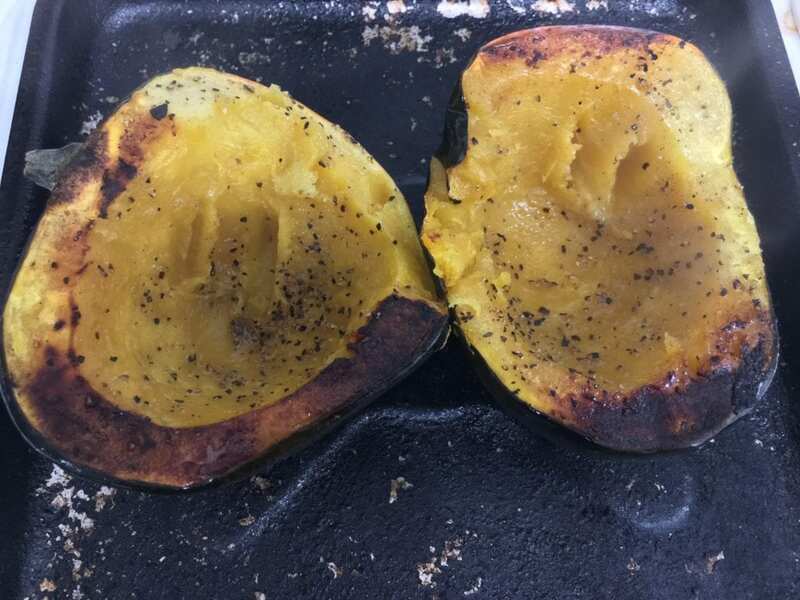 As I cooked an unhealthy meal for my husband and several other men, I kept thinking, “what can I eat that won’t wreck my healthy eating plan but still allow me to enjoy all of this fabulous taco meat?” I looked over to the side of my counter and noticed I had an acorn squash I still hadn’t cooked. 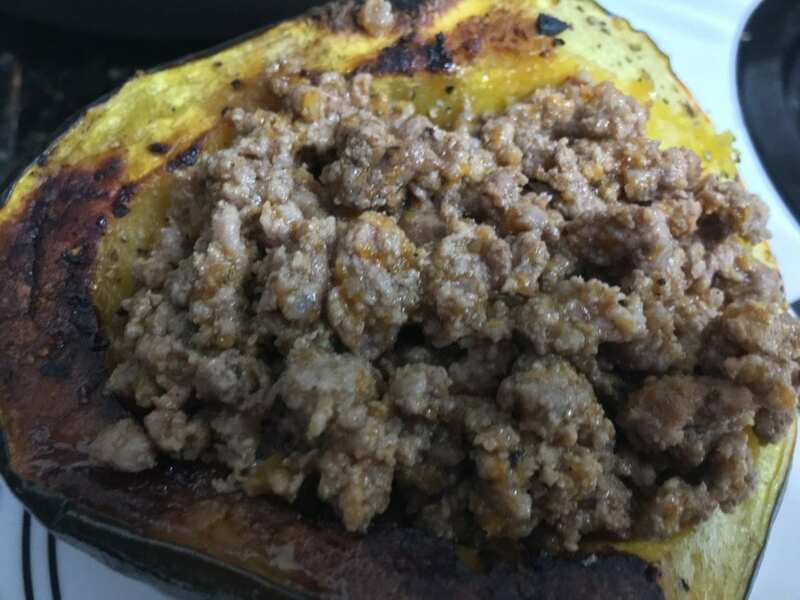 The idea came to me to stuff the acorn squash with taco meat – hence, Taco Stuffed Acorn Squash was born! This recipe is so delicious, I’m pretty sure the angels sang when it was birthed. For this Taco Stuffed Acorn Squash, start off with one of these beautiful acorn squash’s. 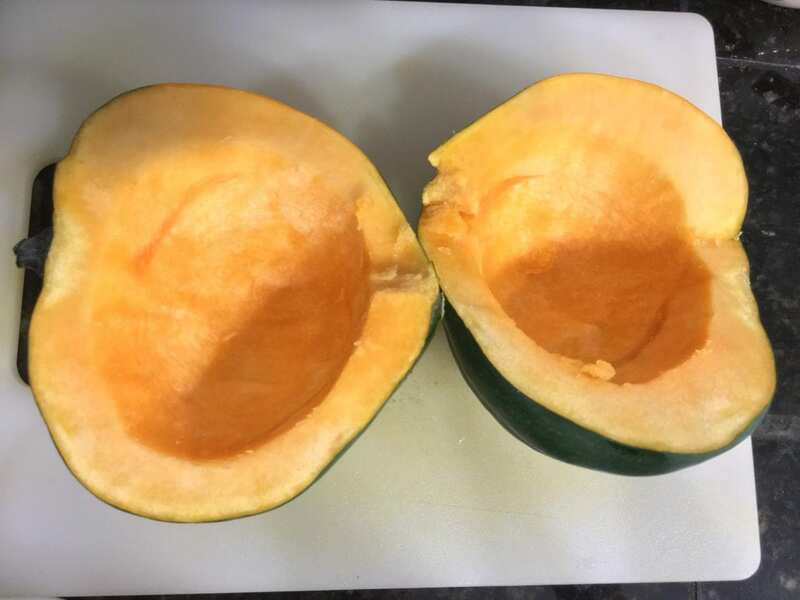 One squash will make two servings. Wash the squash with warm water and remove any stickers on it. Once you’ve washed the squash, use a long, sharp butcher knife to slice the squash in half from top to bottom. Be very careful doing this! You don’t want the squash to slip and result in a injury. 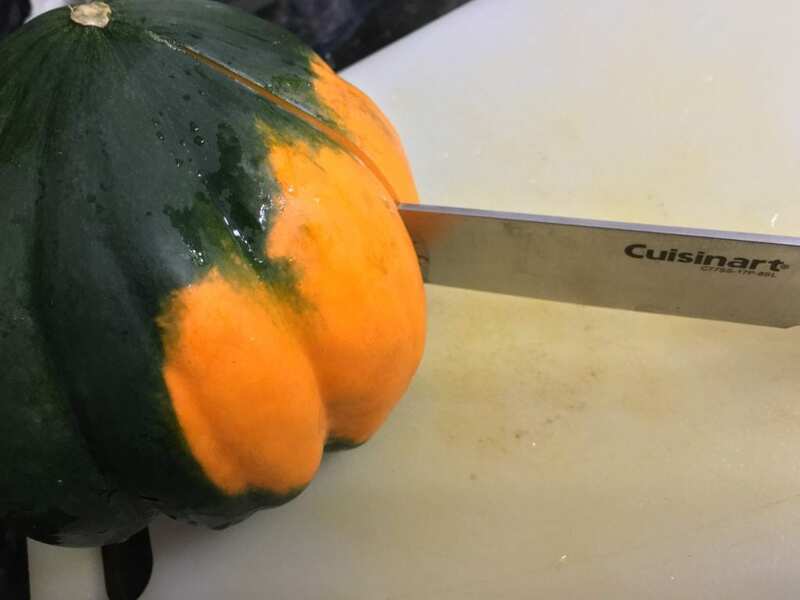 The squash can be hard and tough to cut so use caution when cutting it and make sure your knife is sharp. I recently bought a set of these Cuisineart Knives (affiliate link) last year on Amazon during their Cyber Monday sale week and I have put them to good use since purchasing them. While they’re not what I would consider “professional” quality, they do the job nicely and are sufficient for the home cook. 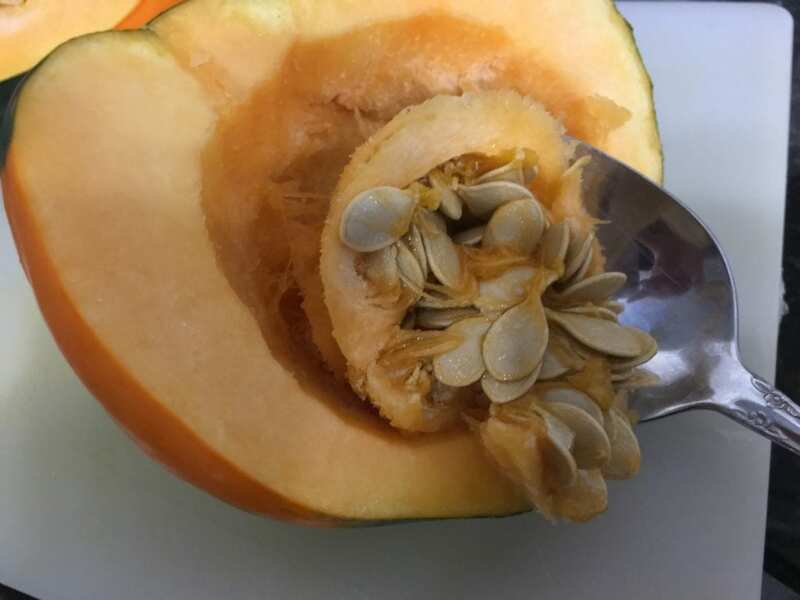 When the seeds are removed, the inside of your squash will be ready to stuff once cooked! Before you pop this acorn squash in the oven, drizzle the inside and edges with a tiny bit of olive oil. After lightly drizzling with olive oil, lightly season with some salt and pepper. Now just place the acorn squash cut side down on a baking sheet and bake in the oven at 400F until tender. 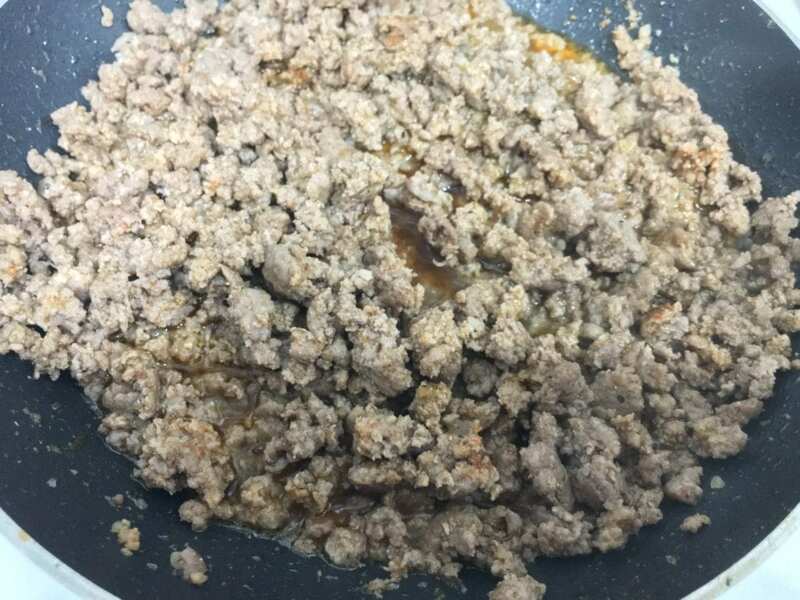 While the squash is cooking (this will take about 15-20 minutes), start browning the ground hamburger for taco meat! 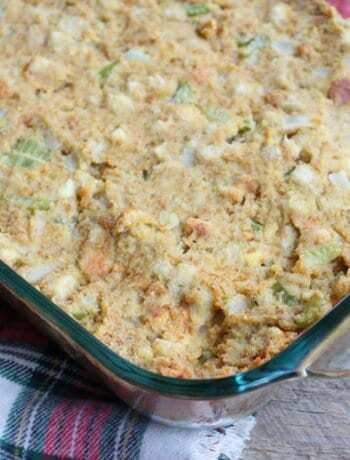 Use a spatula or spoon to continually mash the meat in order to create small crumbles. 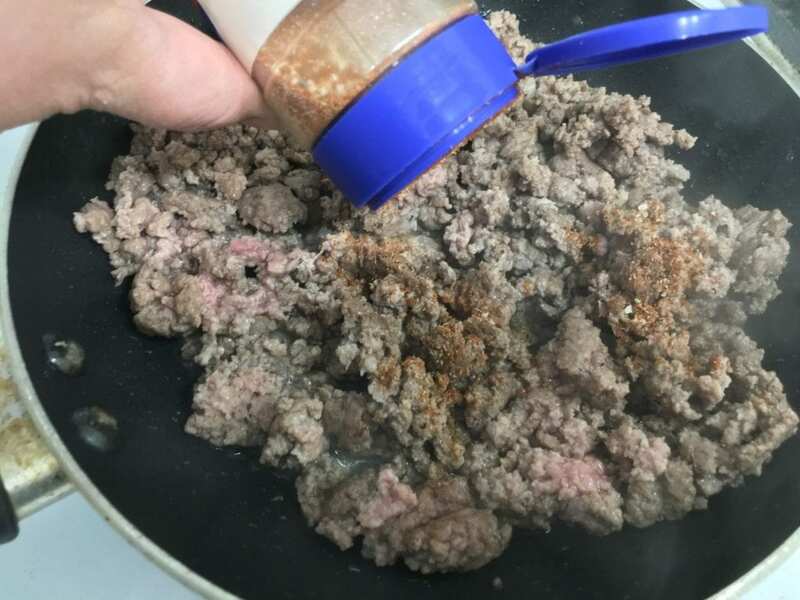 Once the ground beef is nearly browned through, drain all of the grease and add some taco seasoning. Once you add the taco seasoning, add about two tablespoons of water and stir well. 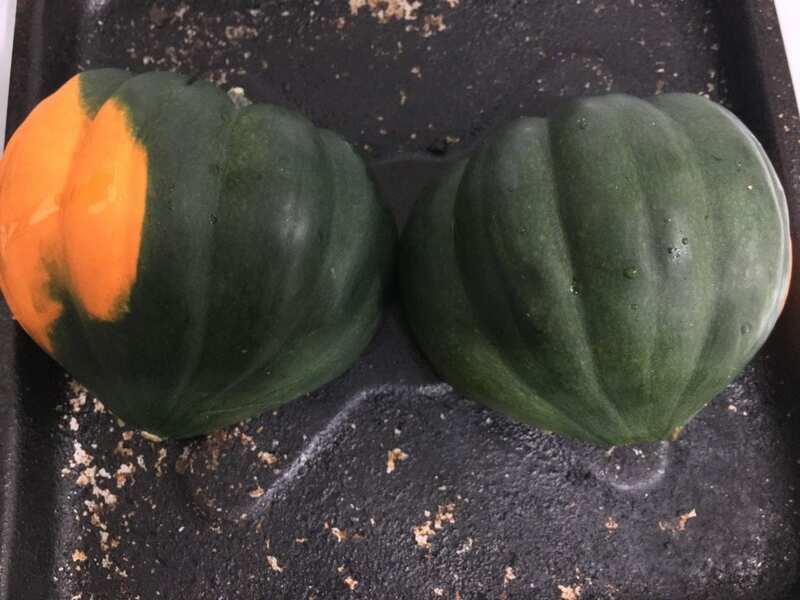 When the acorn squash is finished cooking, remove it from the oven and turn the acorn squash upright so that the inside is facing you and the squash is sitting with the shell side down. Be careful when doing this! The acorn squash will be extremely hot! Time to stuff this squash with the taco meat! 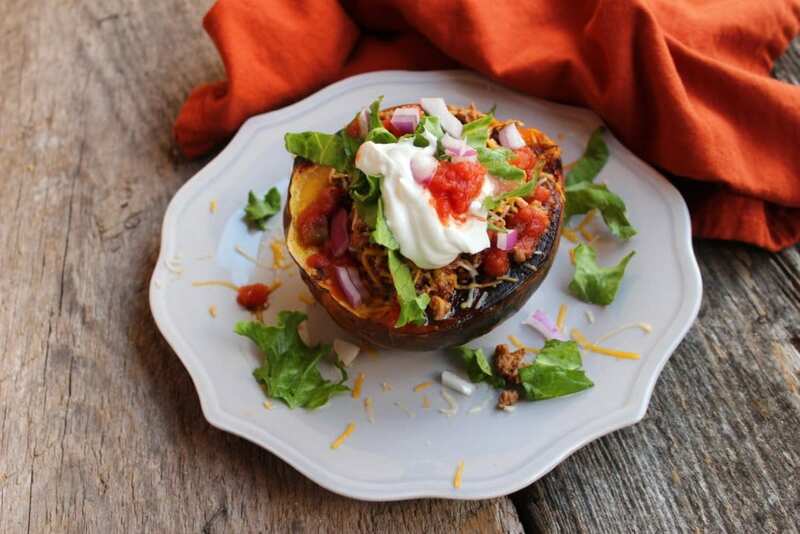 Top with all of your favorite taco toppings and enjoy this delicious Taco Stuffed Acorn Squash! 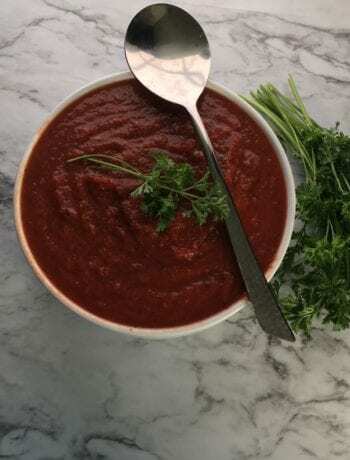 As some topping suggestions, we like to use fat free shredded cheddar cheese (I buy Kraft brand and it can be found in Walmart and Kroger), chopped leafy green lettuce, diced purple onion, my Fast and Easy Restaurant Salsa which is also 0 Freestyle Smart Points, and plain, nonfat Greek yogurt! You could also add diced bell peppers or sliced jalapeños for some added spice if that’s your thing. 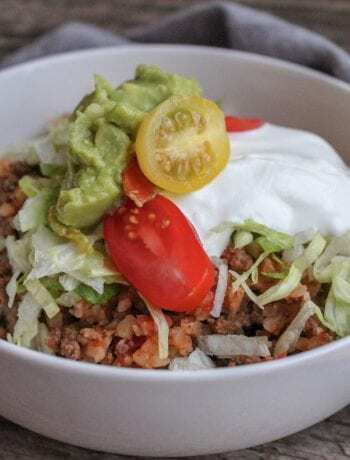 Perfect fast and healthy twist on traditional tacos! 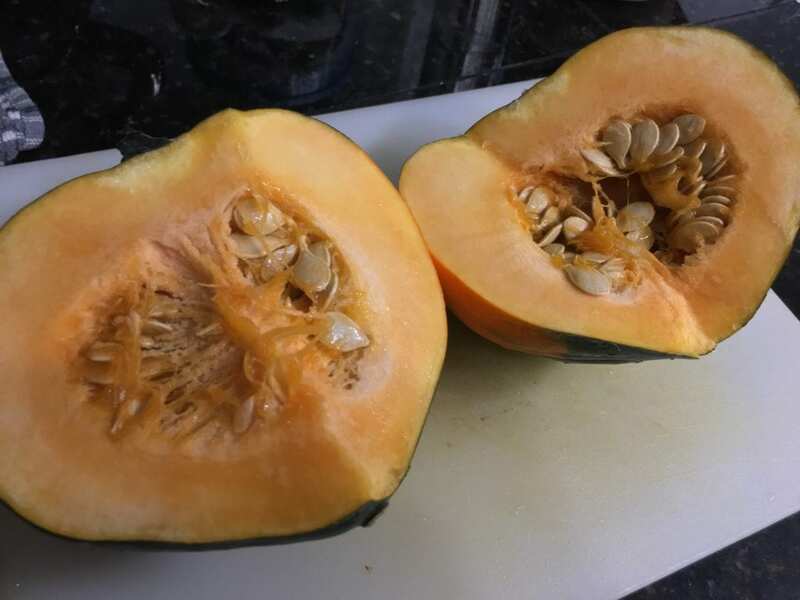 Wash the acorn squash in warm water and slice in half from top to bottom. 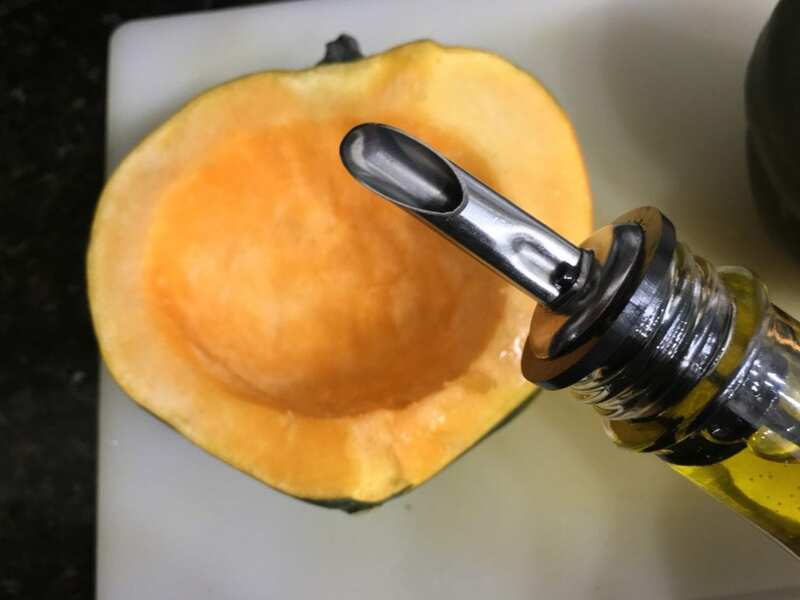 Use a spoon to scoop the seeds out of the middle of the squash and then drizzle the inside lightly with olive oil. 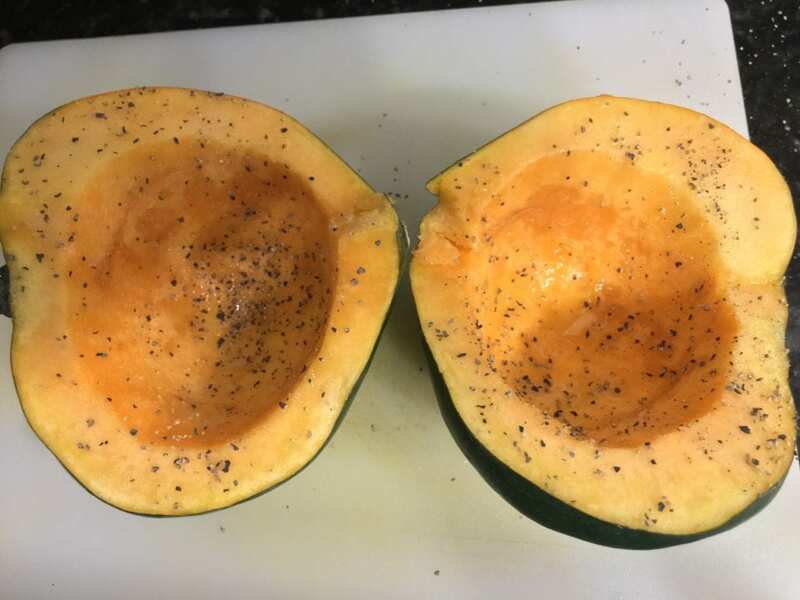 Sprinkle salt and pepper to the inside of the squash. 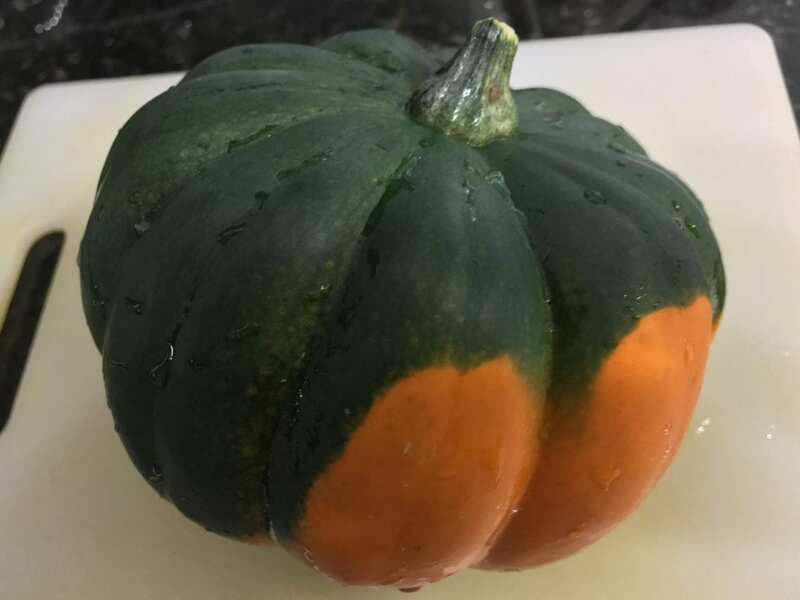 Place the squash cut side down on a baking sheet and bake at 400F for 15-20 minutes or until the inside flesh is tender. 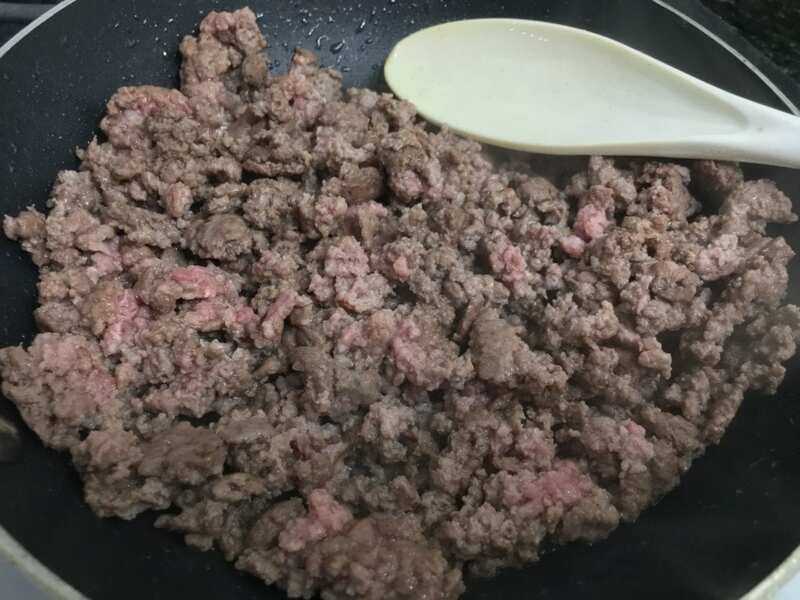 While the squash cooks, brown the ground beef in a small skillet until nearly cooked through. Drain the grease and add the taco seasoning with the water. Stir well and finish cooking completely. Once the squash is cooked, remove carefully from the oven and turn right side up. Stuff the inside of the squash with the taco meat and top with any desired toppings. 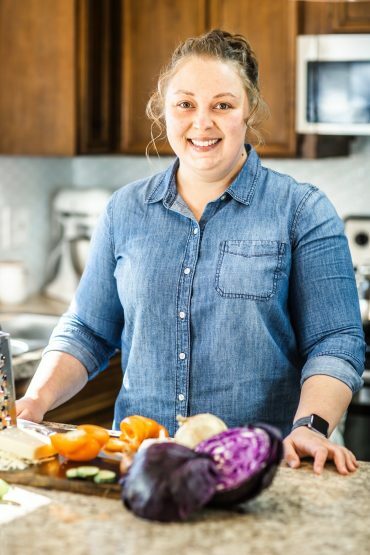 Recipe comes to 5 Freestyle Smart Points for one half of the squash filled with half of the meat mixture and topped with 1/8 cup of fat free shredded cheddar cheese and as much lettuce, 0 FSP salsa, onion, peppers, and plain nonfat Greek yogurt that your heart desires!